If you’ve already lived through the ’80s once, you may not feel the need to live through them again. At least, not fashion-wise. And we don’t blame you: One decade of larger-than-life shoulder pads, clip-on earrings, and teased hair. It might be enough for some folks. But despite their divisiveness, the looks of the ’80s are creeping their way back into the zeitgeist, and we think are some styles worth dipping your toes back into — in a new way, of course. Hey guys so I recently got familiar with the app called NEARBUY. Nearbuy is a pan-India online marketplace platform that allows customers to connect with local merchants and engage with each other across 33 cities in India. As a business, it allows customers to discover, buy and save on these local merchants. Recently they launched a new feature in their app called GO. This feature allows you to reserve a table in a restaurant of your liking on the go and that too at zero cost. It also saves you money as they provide some amount of cashback, upto 30% on your total bill. Currently it is only available in Gurgaon and New Delhi but soon they plan to spread it in other cities too. What do you immediately think of if someone asks you, how do you take care of your skin? Right, so most people probably thought of their skincare routine, their holy grail cleansers, moisturisers and what-not but I’m certain, exfoliation would be a skipped thought. If you are new to exfoliation and here to learn about it’s benefits, then keep on reading, because better late than never! In a nutshell, exfoliation means removal of dead skin cells from the outermost layers of the skin. It can be done through scrubbing the skin with an abrasive like microfiber cloths, face/skin scrubs, pumice stones or hair-removal methods (waxing, shaving etc.) There are other chemical methods as well, which are carried out by professionals. Hey guys so yesterday I went for a special screening of Jab Harry Met Sejal. The screening was organised at the delite Cinema by Ease My Trip. Easemytrip is one of the leading travel conglomerates in the country. It is committed to be a responsible travel company and offer best service to their clients. Easemytrip has previously associated with many films and events of Bollywood including Salman Khan’s tubelight and IIFA 2017. They have acquired distribution rights of this movie starring Shahrukh Khan and Anushka Sharma. Imtiaz Ali has directed the film and it has a classic rom-com kind of story. The movie shows Shah Rukh (Harry) as a tour guide with whom Anushka (Sejal) and her family went on a trip. On her tour, she lost her engagement ring and now, wants harry to help him find it. 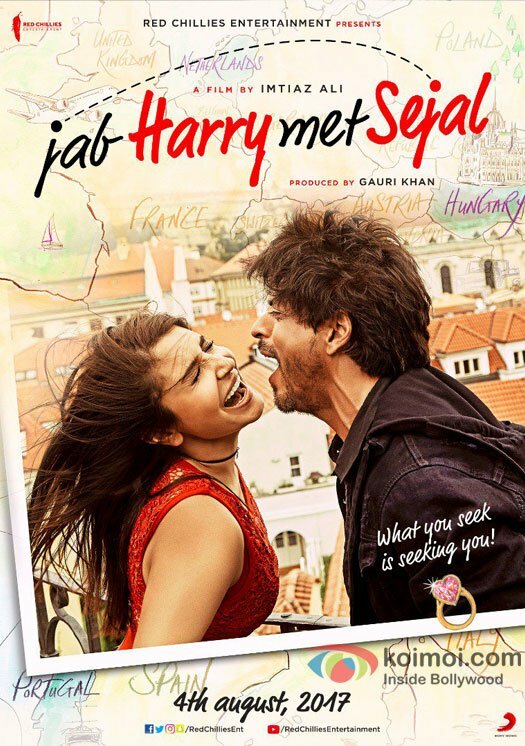 They travel together and Sejal tries to retrace every moment where she could have lost the ring with Harry’s help. Most of us face hairfall problem due to pollution or environmental conditions or lack of nutrition or due to medication. It has become a common problem these days irrespective of age. Even teenagers are facing this problem. We do have lot of products in the market for hair fall problems ranging from shampoos, conditioners, oils to even serums. But as we know these are loaded with harmful ingredients. It is always advisable to use home remedies as they are effective as well as safe. Recently my friend shared a DIY– hair fall rescue serum, which showed a great reduction in hair fall and also helped her in getting new hair strands. So, I thought of sharing this with you all. This serum can be prepared with simple ingredients which we can get easily at home. Experimental fashion can either be amazing or be disastrous. When it comes to trying out different things, fashion is something I don’t wanna play with. But androgynous style fun to try. Confused what androgynous fashion is? Well, it is an outfit including both masculine and feminine traits. Hey guys I’m Priya and today I’m gonna tell you 5 different options to rock androgynous tenor. This is probably the most basic way to try out androgynous fashion. It might be basic but is really effective and can turn any outfit into something new. 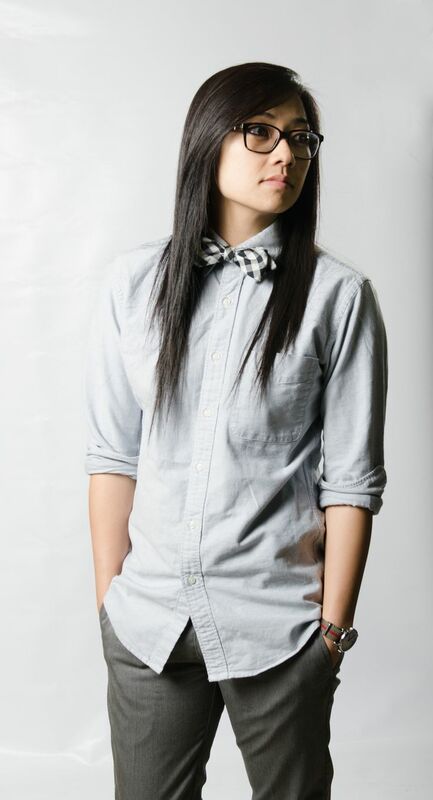 Adding a simple bowtie to an outfit including a pair of pants, a plain shirt and some really cool shoes, is an amazing way to try out androgynous fashion. Keratin is by far the most popular treatment we know for our hair. We face hair troubles every day. Hair fall, dry hair, dandruff, oily hair etc. are just too common problems we face and look to find solutions for. We barely find time for ourselves during the week due to our busy lifestyle. Eating healthy, or exercising or even having a full night sleep is just out of question for us. So, how to keep our hair healthy is totally dependent on such treatments. Keratin, for those who don’t know about it, is a protein based substance that helps keep our hair straight as well as lustrous. It helps to remove the frizz and also adds substance to our hair to make them voluminous. When hair gain strength to shine and look straight they automatically look healthy. These treatments are easy to take and definitely make your hair better if taken regularly. There are pros and cons associated, which we will discuss today through this post. Hey guys!! I love travelling and while exploring different places, it’s hard for me to keep my hands germ free. What do I do? I use a hand sanitizer. But do they really work? Well I know one that works wonders. I recently tried Himalaya herbals’ ‘PureHands’ hand sanitizer. I tried all 5 variants including : LITCHI, ORANGE, STRAWBERRY, GREEN APPLE and LEMON.